Jerry has over 16 years of experience in the Digital Industry. His area of expertise ranges from the eBusiness Strategy, Online Marketing to the Social Media Platform. 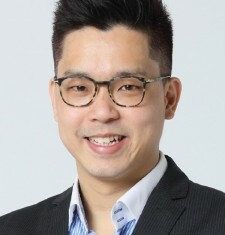 Jerry is the executive director of several digital companies – Founder and Director of WeShare.hk, as well as founder of Hong Kong Internet & ecommerce Association. He is very familiar with objectives and ROI of different marketing channels and he was working very closely with different brands, business strategies and sales marketing. He is also strong in combining online and offline to optimize the maximum performance. WeShare.hk has won the HSBC Youth Business Awards 2014 (Merits). Prior to starting his own business, Jerry has worked at Local and MNC (Business development, sales marketing and operations) and has obtained a Bachelor Degree in Information Technology and Master Degree in Business System.